Birth Of Korean Cool Book Review and Giveaway! Sitting in the theater, waiting for the Korean Movie night, I was lucky enough to bump into fellow K-fan, Madeline. Madeline was showing off her copy of the recently released book, Birth of Korean Cool. She had nothing but fantastic things to say about the book and had even had the opportunity to hear Euny Hong speak on it’s release. Thanks to the Amazon Prime subscription I forgot to cancel before the end of the free trial, the book was in my eager hands in two days. You know what? Madeline was right–the book is pretty fantastic. 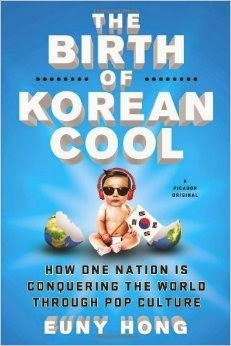 The Birth of Korean Cool: How One Nation Is Conquering the World Through Pop Culture, tells the story of how how Korea completely reinvented itself in the wake of the IMF crisis told through the lens of Euny Hong’s own personal history of her parents re-emigrating to Korea during her school years. Korea during their ‘day of shame’ made the decision that their future would come from a rebranding of their image using soft power, basically funneling time, effort, and hundreds of millions building up their pop-culture for export–and there, through that bureaucracy–the first tingles of the Hallyu wave was born. Not only did this work, it worked beyond even Korea’s expectations allowing them to pay off their daunting loans years ahead of schedule and putting them on the forefront of media and technology. 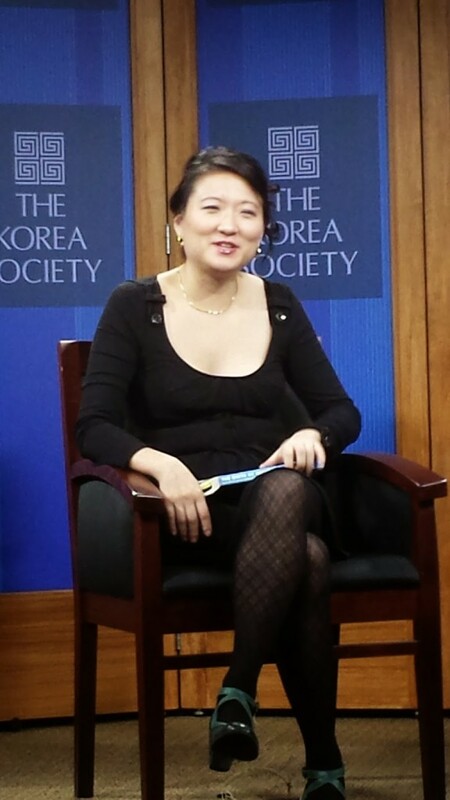 Thanks again to my friend Marilyn, I was able to actually go and listen to Euny Hong speak at the Korea Society, Madeline was right, Euny writes exactly as she speaks–which may be my only complaint about the book. The writer has a bit of a fishing bobber attention span, delving under for just a moment, picking at a topic before popping back up moving onto something else. (I suffer from the same issue!) While it made the book a fast paced entertaining read, it seemed as though everything was just briefly touched on, not really delved into. Although–if it had been, it probably wouldn’t have been as entertaining to read.